Since the rise of web 2.0, the practice of beta testing has steadily been gaining in popularity. However, the confusion about what beta testing really is and what benefits it can offer has been increasing at almost the same pace. The app must be “feature complete” and reasonably stable. Beta testers should belong to the app’s target customers. Beta testers should use the app for real-world scenarios. Starting your beta testing phase when your is not yet beta-ready will have a dramatic effect on the test’s results. So, before we start talking about the different types and approaches to beta testing, we must first differentiate it from alpha testing. Alpha testing is the testing phase that precedes the beta phase. The alpha version usually lacks many features and is almost always too buggy and unstable for any reliable use. It is traditionally an internal affair where your internal developers and/or testers use a mixture of black-box and white-box testing techniques to discover bugs and crashes. However, it is not unheard of for alpha tests to include external testers who are highly trusted technical users. On the other hand, a beta version should be feature complete and includes all the features that are planned for the release version. Testing is carried out by external testers and end-users using black-box testing exclusively, which basically means that they will be using your app for its intended purpose, or in other words, real-world scenarios. Consequently, although finding bugs is one of the main purposes of a beta test, your beta version must not be too buggy or unstable to be usable or get too much in the way of your users’ experience. There are many ways you can set up your beta test and still fulfill the previous three requirements. This will usually depend on the specific requirements of each app, and the goals you aim to achieve from your beta test. It is important to note that a beta program can consist of several different beta tests of different types. These can be carried out in phases, each of which addresses a different aspect of the app. Beta tests are commonly classified either by their access restrictions or the purpose of the beta test but these are mutually exclusive. Closed beta testing is when you grant only a limited number of testers access to your beta app. This can be through setting a limit to sign-ups on a first come first serve basis, or hand-picking testers with certain skills or expertise, like tech savviness. Closed beta tests are better suited for beta tests with a limited scope that is usually technical in nature. Since the number of unique issues uncovered by each tester decreases as the number of testers increase, it makes sense to limit the number of testers at least initially. However with this limit imposed, it becomes important to hand-pick the testers you will include or put them through an application process. This type of testing is also suitable for teams who don’t want to limit the scope of the test but are still too small to handle a large number of testers. Limiting the number of beta testers will help you avoid overwhelming your small team with the amount of incoming feedback. This is especially true if you are aiming for qualitative feedback that is not easily analyzed at scale. On the other hand, open beta tests do not restrict access and allow anyone to sign up. It is a great way to watch how users interact with your app and collect quantitative data about their usage patterns. It is also a chance to test how well your app scales and how your infrastructure and backend can handle that scale. Open beta tests usually follow a closed testing phase and are rarely solely relied upon. Their scale can give you a deeper understanding of how your app will be used in real life, and uncover some of the less common bugs and crashes in your app. However, open beta tests can be quite complicated to handle efficiently, especially for a smaller development team. Having a well thought out process to handle testers and their feedback is crucial for a successful open beta test. Another way of classifying beta tests is by their scope. A limited scope allows you to focus on your app’s particular needs or to carry the tests in successive phases. A technically focused beta test usually requires a small number of tech-savvy users or testers. These technical testers are better at uncovering bugs and submitting high-quality bug reports, while at the same time have a higher tolerance for bugs. Finding bugs and crashes is the most famous benefit of beta tests, and technical beta tests are usually held first before adding anything to the scope. After the technical side is taken care of, it is time for product beta testing. This focuses on the app’s features and the value it provides to its users. Product beta tests are mainly used for validating your assumptions about your users’ needs and how your app can help. This is where you try to understand how real users interact with your app and whether their use matches your assumptions. You can use it to evaluate which features are more important to your users and what features they would like to add to the app. Finally, marketing beta tests are your chance to evaluate and improve your marketing approach and create a hype around your app. Marketing beta tests are usually open beta tests, but, contrary to popular belief, that is not always the case. In fact, some developers restrict access to induce a sense of scarcity. Marketing beta tests can be used to evaluate your marketing message and channels before release. This helps you identify the most effective message and the best performing channels to capitalize on when you release your app. Additionally, you can use them to solicit reviews and testimonials and to attract early adopters to your app. In traditional waterfall software development, beta testing was a one time deal, held before release. However, in an agile framework with iterative releases, that is no longer suitable. At the same time, it is not always feasible to test every minor release of your app. This has created some kind of confusion about where beta testing fits in agile development. Naturally, the right time for holding a beta test in an agile environment will depend on the type of app you’re developing and your release cadence. For instance, B2B users require a measure of stability, especially when it comes to features that affect their business goals. In an agile environment, you can either reserve beta tests for major releases that introduce new features, use a “perpetual beta test” approach or a mix of both. Reserving beta tests for major releases can be necessary when your team does not have the capacity to handle a continuous beta test. It is also preferred for B2B apps or those that might disrupt users’ workflows with frequent changes. However, keep in mind that this will require a longer beta test cycle to get enough useful feedback since there is more to be tested. Perpetual beta tests are on-going tests where every build is beta tested before release. This is, of course, the ideal scenario and minimizes the duration of your beta testing cycle but it does have its drawbacks. For one, releases that introduce only minor bug fixes and improvements will gain little value from testing beyond regression testing. Additionally, the high frequency of beta builds to be tested can cause “tester fatigue” and increase your tester burn-out rate. A mixed approach tries to get the best of both worlds by holding a perpetual beta with a small group of technical users and holding bigger, more inclusive beta tests for feature releases. This allows you to continuously test for bugs and crashes in every build you introduce and collect wider feedback for builds that introduce major changes. This will minimize tester burnout while at the same time shortening the duration of your beta cycle. One of the best examples of beta testing at scale, Lyft has a well-established beta program with thousands of beta testers. They start with an alpha test with internal testers for a week before promoting it to beta and distributing it to testers. When the beta build is ready, it is sent to a group of technical crowdtesters as well as beta users. 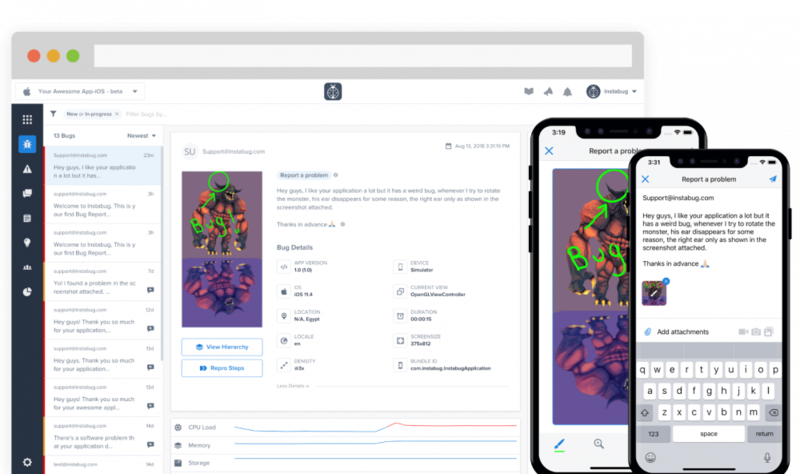 Crowdtesters handle the technical part of testing and try to go through the easy, repeatable steps, while beta testers help uncover the issues that surface with regular use of the app. This beta phase lasts for a week after which the build is pushed to production in a staged rollout. Over the period of another week, the app is successively released to progressively larger groups of users, then 100% of users. Envoy is a B2B office management app that streamlines and digitizes office management. Their team adopts a simple beta testing process that works well for a B2B product. Envoy starts the testing process with a dogfooding step where all employees receive the app’s beta version for testing. They also send the same build to a small group of trusted users that participate in the beta test. Envoy’s beta test is not time-boxed however, depending on the absence of bugs as the beta test’s exit criteria. Envoy continues testing even after releasing the app to production to make sure issues are resolved quickly. Being a B2B application, it is very important for them to maintain a close relationship with users and be extra responsive. With each report, you automatically receive comprehensive data to help fix issues faster, including steps to reproduce errors, network request and console logs, and environment details. For bug reporting, your beta testers can also send screen recordings and annotate screenshots to provide further context. Collect user feedback from your beta testers right inside your app to minimize interruptions and boost participation rates. Get powerful insights to enhance your product roadmap with surveys that you can target at specific tester segments and feature request voting to understand user pain points and desires.